Is social media a real progress ? Parents fear their daughters are becoming addicted to social networking sites, a girls’ school leader says. Girls seem to be “permanently connected” to sites like Facebook and Bebo, president of the Girls’ Schools Association Jill Berry said. This issue now tops the list of parents’ worries by some way, she told the association’s annual conference. Mrs Berry also argued that girls’ interest in fashion should not be mistaken for being “shallow”. The leader of the girls’ private school association said there was no contradiction in girls being interested in fashion and wanting to be seen as intelligent feminists. “Girls can be highly intelligent and interested in being seen to be attractive – the two aren’t mutually exclusive. “They [parents] worry about the addictive nature of networking sites and the fact that their daughters seem to be permanently connected. “They ask us what to do about their daughters being on the receiving end of ‘We hate x’ sites or ‘honesty boxes’ where comments about each other can be posted anonymously,” she told the conference. These problems had overtaken their concerns about the girls’ face-to-face contact in school, she said. Mrs Berry added: “Our schools now need routinely to advise parents about internet safety, in addition to working to educate the girls and to encourage them to be responsible in their relationships on and off line. A Facebook spokeswoman said: “It’s equally convenient to characterise TV and video game usage as time-consuming distractions. She added that Facebook had a range of safety tips to ensure users remained safe online. These include, users being careful to only accept friend requests from people they know and to report any messages or profiles that look suspicious. 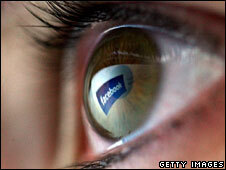 Are you a Facebook addict ? Watch this funny video ! Are French people Internet addicts ? Read this article (in French !) about Internet addicts in France ! Do you think that you are an Internet addict ?